Baby Arisha has been suffering since the last one year. She was diagnosed with Red call Aplasia (Portable Diamond Blackfan Syndrome) and has been on treatment for the same. A bone marrow transplant is required to save her life. Unfortunately, she does not have a matched donor from the family and has to undergo a Haplo matched transplant with one of his parents as a donor. The transplant will be done using a kit called TCR depletion Kit. The total expenses will come to 32 lakhs and this is a huge challenge for the family who has already spent whatever help they received . Thank you for your tremendous love and support. We couldn't have imagined doing this without you. With inexplicable grief, we are having to inform you all that Arisha passed away. She was regularly coming for follow ups. The family went back home and later she developed a few complication and she could not make it. Thank you everyone for your support. It means a lot to us. Arisha already had the BMT and it was successful. She is recovering well and is under observation now. We are planning to discharge her in few days, depending on her progress. Thank you all for coming forward to help her. We will keep you posted on the progress. This is Dr.Sunil Bhat. Thank you for coming forward to help Arisha. Her transplant is planned in the month of February. 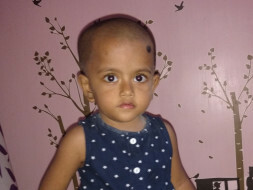 Initially, we were hoping to get a fully matched donor for Arisha's transplant for which the cost would have been lesser. Unfortunately, we couldn't find a fully matched donor for the transplant. We are planning a transplant with one of the parents who is half matched. 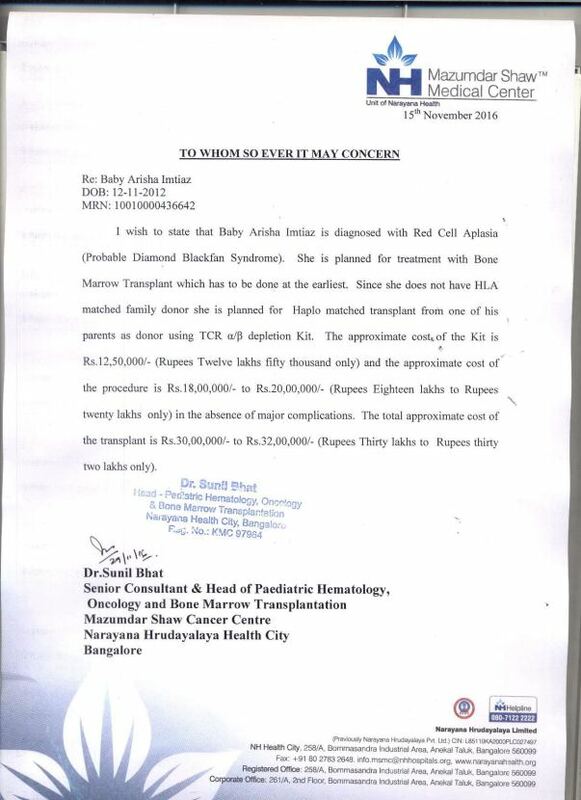 There is a requirement of TCR alpha/beta depletion in half-matched transplants which makes use of a kit (costing 12 lakh rupees for it alone and has to be imported from Germany). The cost of the transplant has increased due to this than we had estimated earlier. 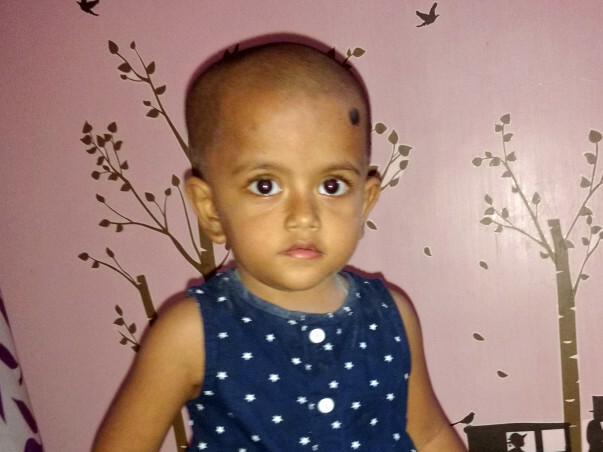 Arisha has been undergoing treatment for a very long time and we are happy to see that with your support, she can undergo the transplant.